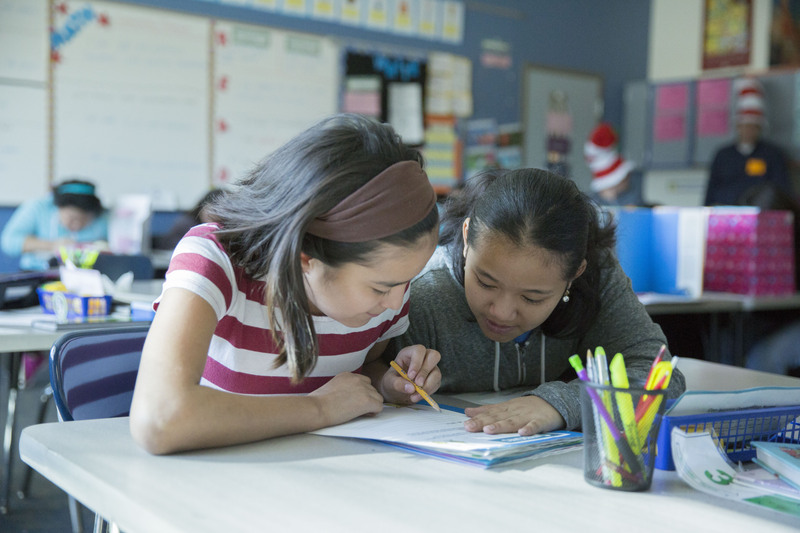 United Way of Salt Lake’s Promise Partnership is steadfast in its belief that the most powerful way to end the cycle of poverty is through academic achievement. However, we also know that other factors influence a child’s chances of academic success, so we cannot ignore them. To address this, UWSL has built robust partnerships aimed at improving the many influences that could derail a student’s success in education. Our partnership with the National Center for Community Schools helped us understand the importance of extended learning opportunities for low-income youth through before-school, afterschool and/or summer programming. Out-of-school time providers have a unique ability to connect with youth, keep them safe during the afternoon hours when juvenile crimes peak, and teach social-emotional skills and prevention behaviors and – in some cases – to actually extend the school day via academic resources. 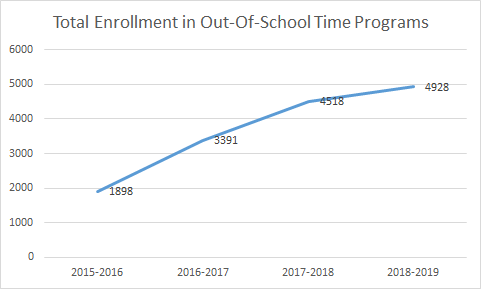 Over the past five years, the number of students served by out-of-school time partners has increased significantly in the last several years, from 1,648 in the 2015-16 school year to over 4,600 this year, according to enrollment data in the programs. This growth has been achieved through remarkable shared grant-seeking between United Way, extended learning providers, and the schools themselves. Promise South Salt Lake, one of our earliest collective impact partners, now works in all six of our South Salt Lake community schools and provides out-of-school time programming at six neighborhood centers (including Hser Ner Moo, the refugee center, and PAL Boxing Center). On average, they serve over 2,100 South Salt Lake youth per year. In this service area, we have seen a 29% reduction in juvenile arrests in South Salt Lake, between 2014 and 2017 and a 45% reduction in juvenile arrests in Kearns between 2014 and 2017, according to data from South Salt Lake Police Department and the Unified Police Department of Salt Lake. In Promise Kearns, UWSL works with two additional out-of-school time partners: Boys and Girls Club , and Salt Lake County Youth Services. Working at Oquirrh Hills Elementary school, Boys and Girls Club boasts the highest attendance ratio of any of our partner schools with approximately a quarter to a third of the school’s students enrolled in any given year, serving 1,029 students in the last five years. Salt Lake County Youth Services, who works with UWSL in four schools, has proven to be an innovative partner in advancing the impact and reach of afterschool programs.They are testing specific interventions to increase the number of students with signed FERPA releases, waivers which allow afterschool staff to see a students academic records and provide customized support to each student depending on their academic needs. The percentage of students across the four elementary schools in the partnership with signed releases has increased from 51% on August 20, 2018 to 65% as of March 5, 2018, according to data from Granite School District. To continue improving alignment, Salt Lake County Youth Services afterschool programs have also experimented with hiring teachers to lead the academic hour. Teachers are able to build relationships with students in a less formal setting while supplementing knowledge of the curriculum. SLCYS has adopted dyad reading in their out-of-school time programs to advance literacy. 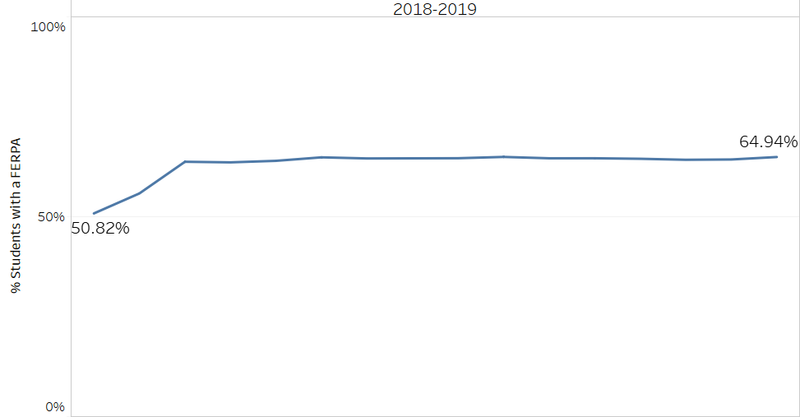 In 2018, students enrolled in in SLCYS programming in the four Kearns elementary partner schools averaged 10% DIBELS growth over the course of the year. To learn more about our partnerships, visit uw.org/our-work/partnerships.